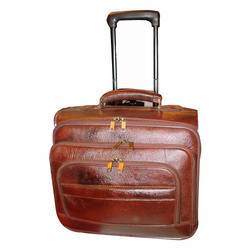 We are a Leading Manufacturer, Supplier, Wholesaler & Exporter of Leather Travel Bags, Designer Trolley Bags, Leather Trolley Bags, Cow Leather Trolley Bag, Leather Trolley, Leather Laptop Trolley Bag Model No.0745, Leather Laptop Trolley Bag Model No.0745 (Back Portion), Leather Laptop Trolley Bag Model No.0745 (with Trolley), Leather Laptop Trolley Bag Model No.0745 (inside Portion). 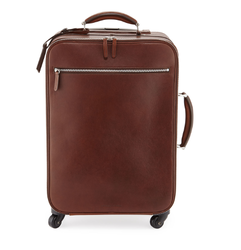 We present a modern collection of Leather Trolley Bags. 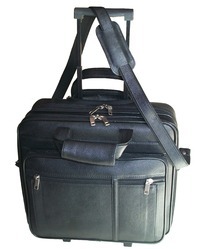 These bags are designed to carry luggage easily and hence make the journey comfortable. 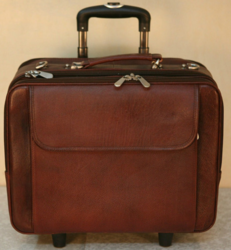 Our bags are spacious, light in weight, portable and less space consuming. 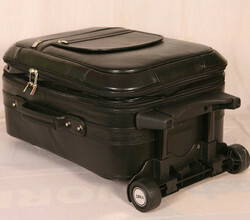 These bags come with a rugged handle whose height can be adjusted, as per the requirements. 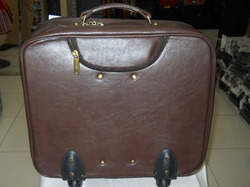 Apart from this can also make this products from Bluff, sheep, goat leather as per customers requirements. 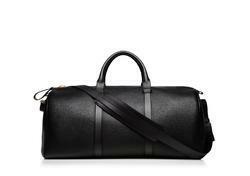 Size As Per Customer Specifications. Any colour available if an order is more than 50 pcs. we are the specialist to makes any kind of designs as per customers, exact size specification.